‘Little Bird,’ a short call and response accompanied only by body percussion, opens the record. The dialogue between the Mama and Little Bird voices is a tender reflection on a young woman’s journey into the world, hinting at where Hawthorn has come from and where it is going. From the sensual ‘Spun Open’ to the bitter loss of ‘Shadow’ and the nostalgia of ‘Borderline,’ much of the record treats with romantic love in its many forms. Hawthorn’s voices blend in joy, sorrow, and resolution, carrying each other through the stages of each song’s journey. There are moments of elation-- “the fire touch of skin on skin” and wise reflection-- “my lover is a rambler, I cannot keep him here / but though he’s on the highway, his heart is always near,” finding and celebrating the soft nuances of relationship. 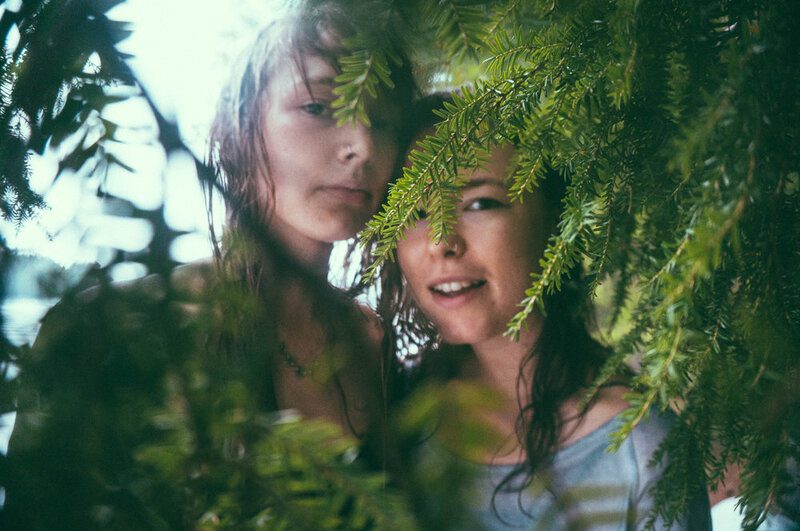 Hawthorn’s cover of ‘She Belongs to Me’ reimagines Bob Dylan’s anti-love song as a celebration of sisterhood and female artistry, a light-hearted middle finger to anyone that might think heartbreak would hold these women back. When sung by Heather and Taylor, the words “she’s got everything she needs, she’s an artist, she don’t look back” transform from condemnation to affirmation. The album concludes with a haunting rendition of ‘The Parting Glass,’ a traditional song of Heather and Taylor’s Celtic heritage that they sing at the end of every performance. Recorded late at night around a single microphone, the voices are accompanied by a water-filled glass, a final nod to the ethos of the entire recording project: arrangements that could just as easily take place on a porch in late summer as in a studio. Recorded at The Berwick in Boston. Mixed and mastered at Marsella in Mexico City.